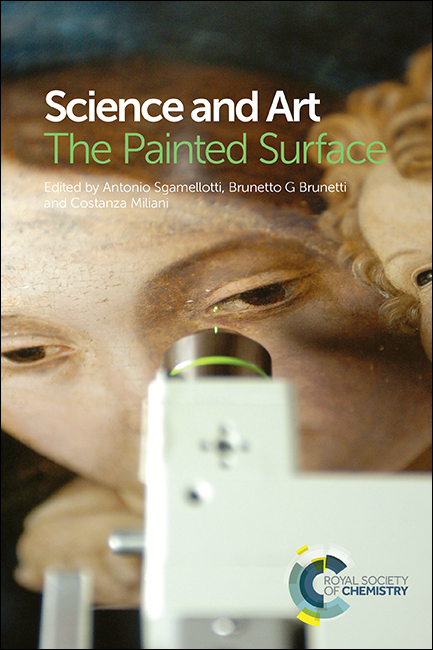 At the tail end of last year we received this positive and perceptive review of ‘Science and art: the painted surface’ from Catherine Emma Nicholson at Chemistry World. This book was Edited by Antonio Sgamellotti, Brunetto Giovanni Brunetti and Costanza Miliani. If it inspires you to find out more about this publication, then further details can be found from our online bookshop. We hope you enjoy reading this review article, and that you enjoy reading the book itself even more! Affecting over 1.5 million people across the world, Parkinson’s disease is a progressive neurological condition. It affects 1.5% of the global population over 65 years of age. As life expectancy is increasing, over the next few years the number of patients with Parkinson´s disease will grow exponentially. To date, there are no available treatments that are capable of curing Parkinson´s disease, and the current goal of therapy, dopamine replacement strategies, is to reduce symptoms. Today is World Parkinson’s Disease Day – a day for raising awareness and for educating the community of its causes, symptoms and the medical/surgical treatment methods available. The first World Parkinson’s Disease Day, which commemorated the birthday of Dr James Parkinson, also saw the launch of the EPDA’s Charter for People with Parkinson’s. More than 30 Parkinson’s organisations around the world united on the same day to support the Charter. 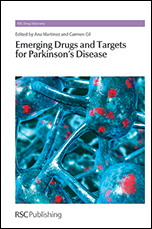 To support the work of researchers in industry and academia involved in drug discovery for Parkinson’s Disease, the Royal Society of Chemistry recently published Emerging Drugs and Targets for Parkinson’s Disease, edited by Ana Martinez and Carmen Gil. 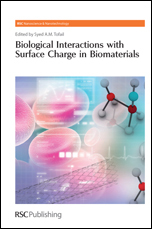 The book originates from the activity of a BioElectricSurface consortium, funded by the European Commission under the FP-7 Nanosciences, Nanotechnologies, Materials and New Production Technologies (NMP) program and discusses the crucial role surface charge plays in the interaction between materials in biological and medical applications. The first part of the book covers new findings in biology, e.g. bone growth by charged hydroxyapatite and photocatalytic effect in doped titania and includes useful explanations of the many modern techniques used to create and measure electric charges at surfaces and intersurfaces. The first part of the book contains some very useful information, such as discussion of the polarization of hydroxyapatite, which increased bone growth on the negative surface while no growth was observed on the positive surface, and commentary on the increased photocatalytic activity of doped titania . This section also concisely, but thoroughly, analyses thermally stimulated depolarization current methods, the laser intensity modulation method of charge measurements, scanning probe, Kelvin probe force and electrostatic force microscopy, and the streaming potential measurement techniques used for wet cases. The techniques utilized for interfacial measurements, such as confocal laser scanning microscopy, are also covered in chapter 4. Part 2 describes many practical examples in which the surface interactions play an essential role. For example, chapter 5 discusses immobilized enzymes on porous surfaces in biocatalysts, drug delivery, and biosensors, while chapter 6 goes on to describe improvement of the extracellular matrix (ECM) by the interactions of host tissue cells with the implant surface Chapters 7, 8 and 9 discuss antibody immobilization on solid surfaces, adhesion, proliferation and differentiation of bone-forming cells with electrostatic charge at biomaterials surfaces and interactions of biofilm-forming bacteria with abiotic surfaces. Endothelial cells and smooth muscle cells on the biomaterials surfaces, interactions of bacteria and fungi on biofilms in hospital acquired infections and immunological response of electrostatic charge at the surface of biomaterials are covered in chapters 10, 11 and 12. Such elaborate discussions show the relevance of surface charge in biological interactions at and with non-biological surfaces and, I strongly believe, will provide a solid foundation for interested readers who are willing to bring innovative ideas of surface modifications to generate or control a specific biological response on implantable therapeutic devices. Part 3 of the book is a logical progression from parts 1 and 2, and describes some of the important applications where surface charge is believed to play a significant role. These include: Community and hospital acquired infections of methicillin-resistant staphylococcus aureus (MRSA), MRSA-resistant textiles, inhibition of encrustation in urological devices and the reduction of restenosis in cardiovascular stents. The book finishes with a general overview of a new class of materials, named as vector materials, where the interfaces between biomaterial and biological environment can be manipulated by the application of vectorial effects induced by electrical polarization. Surface charges are frequently experienced by the frictional electricity in textiles. The infection of bacteria and the restenosis of implanted stenosis are broadly concerned matters in the society. As a basic research, it is noteworthy that negatively charged hydroxyapatite induces new bone. The book shows that the study of electric charge in surfaces is important to understand the basic mechanism of all these matters. The many topics introduced in this book promises more rapid progress in future research. The abbreviation of technical words sometime hinders the understanding of sentences, but the subject index at the end of the book helps greatly to solve this difficulty. The arrangement of chapters is also well ordered. The Editor’s kind efforts are appreciated.